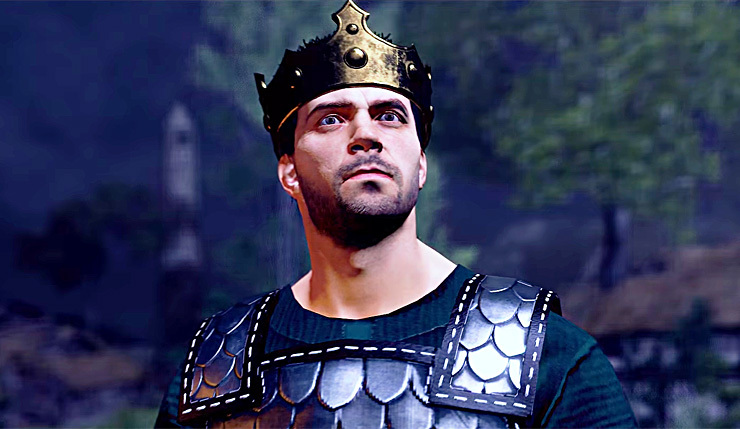 Total War Saga: Thrones of Britannia has revealed its latest faction and historical leader – The Welsh under King Anaraut. You can check out a dark, rather dramatic cinematic trailer for King Anaraut, below. King Anaraut leads the Gwined, one of two Welsh factions in Thrones of Britannia. Anaraut must live up to the legacy of his respected father King Rhodri and unite Wales into a single nation. It won’t be easy, but hey, anybody who can climb a mountain in the dark in full crown and armor must be made of sturdy stuff. With the victory conditions in Thrones of Britannia we wanted to provide options that tie into the different ways people like to play Total War. Conquest is for those who want to paint the map. Fame, however, is for those who want to develop their faction. To improve the Fame of your faction, you need to construct certain buildings, research technologies, or have a good king. Each of these endeavors generate Fame points, and to achieve the Fame Victory you must accumulate a bank of these points worthy of each victory level. Thus, for those who like to turtle and develop their factions, this victory condition ties in nicely with that approach. The Welsh are especially well suited to the Fame victory condition. They possess a unique faction mechanic called ‘Heroism’ which can provide bonuses to their faction leaders’ influence. This can then provide a Fame bonus to the faction itself. Similarly, the starting capitals of Gwined and Strat Clut can both construct the special Bard building chain. This can deliver big Fame bonuses as well. Total War Saga: Thrones of Britannia marches onto PC on April 19.